Teens and 2018 Seniors! You've come to the right place if you want to have fun taking your portraits while earning discounts and free mini sessions too! Want to join us? Fill out this form, we are always looking for reps from all schools! Or you can call me direct and I will answer any questions you may have! Thanks and have a blessed day! Kathie Brune * Brune Photography * 319-931-3408 Please leave a message if I don't answer. Unknown phone numbers I don't always answer! 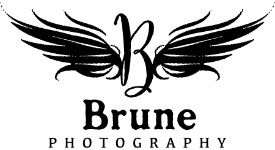 Important Notice: Parent(s)/Guardian(s) must be informed about this Brune Photography Rep/Model application. When we make the call, and if the parent/guardian has no clue, your application will be discarded. Please take the time to inform your parent(s)/guardian(s). Also, take note, if you are a representative for any other photography company, we will discard your application as well.